The Global Initiative for Children's Surgery started as a small group of pediatric surgeons (plus two trainees), and has now grown to encompass all the specialties that provide care for kids when they need surgery. The focus is to ensure that all children have access to safe, timely surgical care when needed. 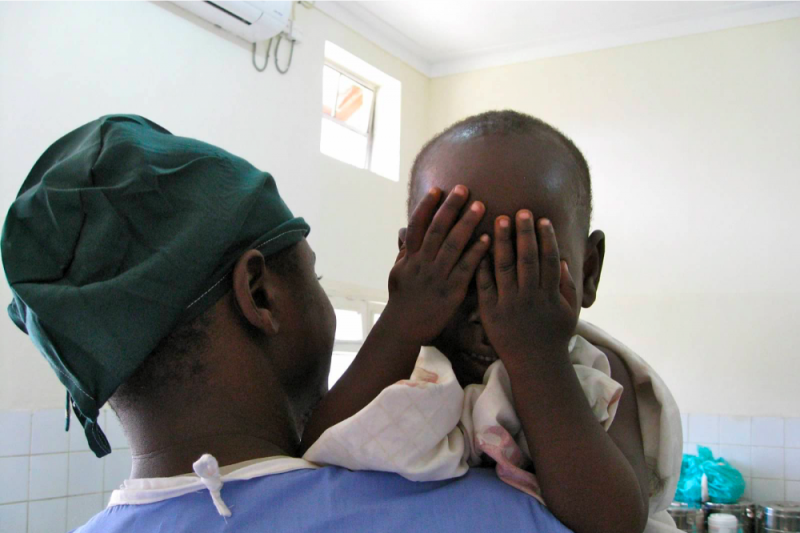 Our vision is that surgical care will be within reach of all children. Kids die needlessly of treatable conditions, like appendicitis, or become disabled from broken bones or burns. They also die or are disabled because they cannot access care for common birth defects such as cleft lip and palate, clubfoot, and intestinal abnormalities that would be treatable with near 100% survival in the rich countries. This happens far too often in low- and middle-income countries (LMICs), where children are too far from facilities that can offer care, or their families can't afford it, the needed equipment isn't there, or surgeons simply aren't available. In many of the world’s poorest countries, children compose over half of the population. We believe that providers of surgical care for children in developing countries know best what they need to ensure kids get needed surgical care. Surgeons and anesthetists, critical care physicians, nurses, general doctors and many others have seen the problems and attempted solutions, and are the best ones to recommend what can be done to prevent children from dying and becoming disabled unnecessarily because of lack of access to surgery. In May 2016, a small group of about 30 providers from developing countries around the world met in London to share their ideas and develop solutions. More information about that meeting can be found here: http://www.baps.org.uk/announcements/global-initiative-childrens-surgery-gics-inaugural-meeting-report/. We were able to support these doctors (and one nurse!) to share their expertise and ideas in London through the generous donations of organizations, friends, and family. That first stage of the Global Initiative for Children’s Surgery set the groundwork for the inclusive meeting in Washington DC in October 2016, where the funders will come in and form partnerships to implement the solutions. In the time since that first meeting, already three new training partnerships have formed, and the group has developed an optimal resources document. Needs assessments have been completed and now over 40 providers from LMICs are planning to participate in the Washington DC meeting. The money you donate now will be used to help providers from low income countries to attend the meeting in Washington DC. Each of the 30 surgeons, anesthetists, and critical care doctors who require assistance with funding needs about $3,000 to cover the cost of a plane ticket, hotel, visa, and food. Doctors in low income countries are poorly compensated, and they will miss work to participate in this meeting. An initiative focused on all the disciplines of children’s surgery, led by local champions and experts, has not been initiated in this way before, and represents a golden opportunity for global impact in the places that need surgical care the most. Your support of this effort means the world to us. 100% of the funds will be donated to the Global Initiative for Children’s Surgery (minus the GoFundMe fee). For more information, please visit our website at http://www.globalchildrenssurgery.org. Donations can also be sent to the APSA Foundation at the address below. Please designate "GICS" on the check. A year after the World Health Assembly passed a resolution to support access to essential surgical care - the struggle to reach universal access to surgical care continues. An estimated 5 billion individuals, including children, lack access to essential surgical care. In many lower and middle income countries (LMICs) infants and children make up a significant proportion of the population: in Haiti and Kenya, more than 40% of the population is made of individuals less than 18 years old. Unfortunately, it is specifically in these regions where the infrastructure and human resources needed to support optimal pediatric surgical care are lacking. The absence of these resources results in devastating mortality and morbidity rates. In Kisumu, Western Kenya, a baby girl named Akinyi was born with her intestines outside her abdomen. Akinyi, which means” born in the morning”, died 4 days later due to exposure and infection because of lack of a simple plastic silo bag that would prevent infection, hypothermia, and allow gradual return of her intestines into the abdomen until closure by a surgeon. Close to 100% of babies born with gastroschisis in Western Kenya die. Had Akinyi been born in a high income country, she would have survived almost 100% of the time and led a normal and productive life. There is therefore an urgent need for a concerted effort to build infrastructure and train the human resources necessary to meet the need for essential pediatric surgical care globally in partnership with all stakeholders. In May 2016, a group of concerned and committed providers from high income countries and lower and middle income countries met in London to define the state of global pediatric surgical care and develop solutions. The Global Initiative for Children’s Surgery came into being with a vision of every child having access to surgical care. Following this meeting, efforts to move forward with the vision have continued, and a second meeting involving all stakeholders will be held in conjunction with WOFAPs in October 2016 in Washington DC. At this meeting, results of assessments of the current situation in multiple lower and middle income countries will be reviewed in order for priorities to be set and context specific solutions developed. Consequently, it is critical that our colleagues from lower and middle income countries participate as equal partners at the meeting in October. We therefore ask for your donations to fund their travel and stay in Washington DC during the conference. We estimate that the total cost for each LMIC participant is $3000 USD, and we hope that at least 30 participants will attend. So far, we have raised nearly $90,000 USD, however, a balance of $10,000 USD remains. Any contribution would be most appreciated and is tax deductible. We thank you for your generosity and support. 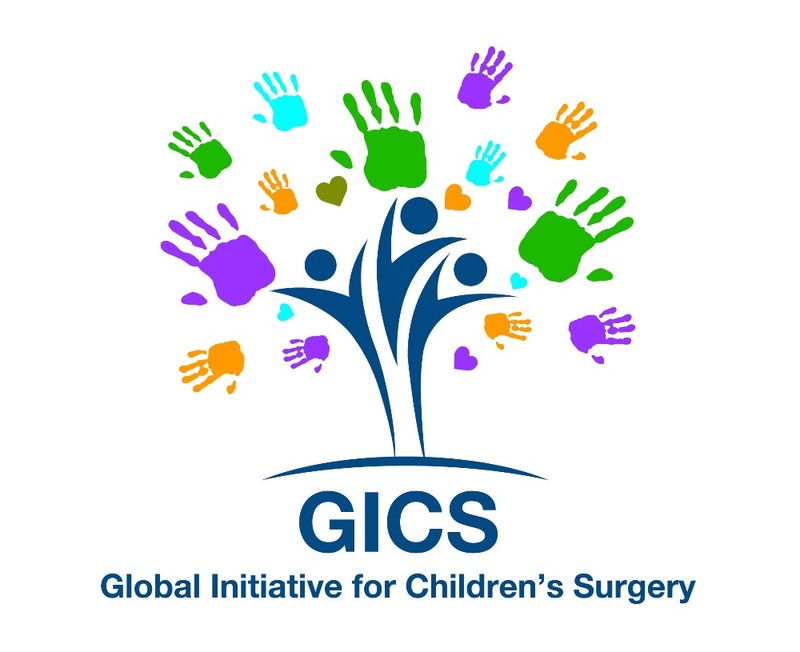 On behalf of the Global Initiative for Children’s Surgery (GICS) organizing committee, I want to extend a heartfelt thank you for your support of the inaugural GICS meeting in London. 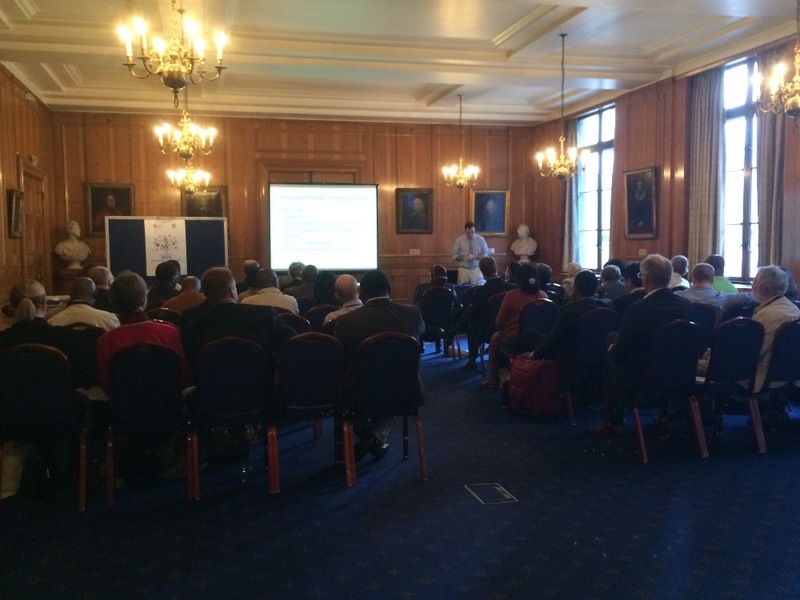 The London meeting included 50 surgical care providers from 20 countries around the world. Over the two days, the group identified priorities for improving children’s surgical care, considering perspectives from 18 low- and middle-income countries. The meeting participants have jointly formulated the vision of GICS: That every child in the world who has a surgical need will have access to necessary resources that optimize his or her individual care. 1. Each provider who participated in the London meeting will complete a needs assessment of his or her country and hospital for compilation prior to the October 7-8, 2016 meeting in Washington DC. 2. A consensus statement on the optimal resources and best practices for children’s surgical care will be drafted by the London GICS participants prior to the meeting in October 2016. 3. The Global Initiative for Children's Surgery has already started to assist with matching specific training needs in LMIC with resources. We are grateful for your support of this unique ground-up initiative. You are critical to its success. We are delighted to have our major support from the American Pediatric Surgical Association, the British Association of Paediatric Surgeons, the Royal College of Surgeons, the World Federation of Associations of Pediatric Surgeons, the Canadian Association of Pediatric Surgeons, SmileTrain, the American Society of Anesthesia, the Society for Pediatric Anesthesia, the Pediatric Orthopedic Society of North America, the International Society for Pediatric Neurosurgery, and other organizations. Our goal on this page represents a fraction of our overall goal -- and what we hope to raise from our communities to support community providers. Your support is critical to help this to grow as a ground-up initiative starting with the priorities identified by healthcare providers in low- and middle-income countries and working with their solutions to improve the surgical care of children. Go do great things, Laura!